Kurtis K. Wiard, J.D. 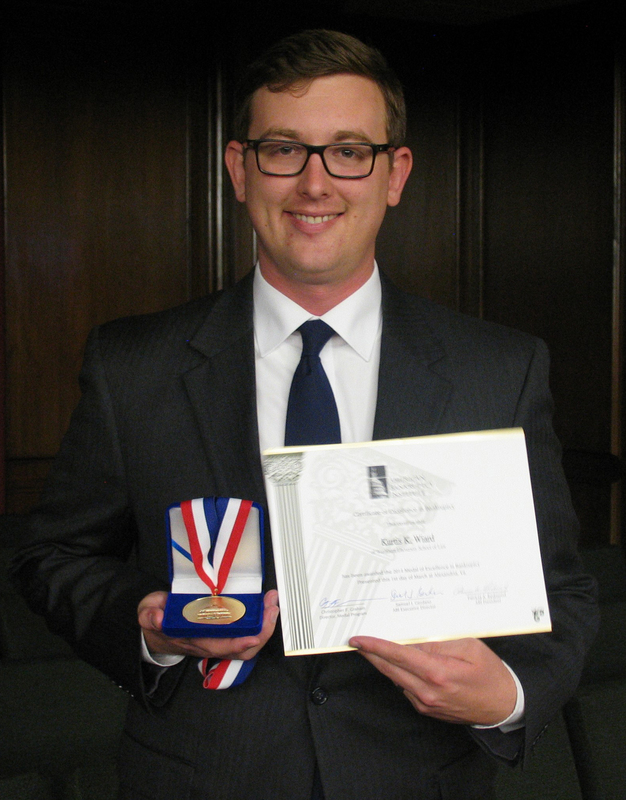 candidate '14, was awarded the 2014 American Bankruptcy Institute (ABI) Medal of Excellence for outstanding performance in his bankruptcy coursework. Along with the medal, Wiard received a Certificate of Excellence in Bankruptcy and a complimentary one year ABI membership. 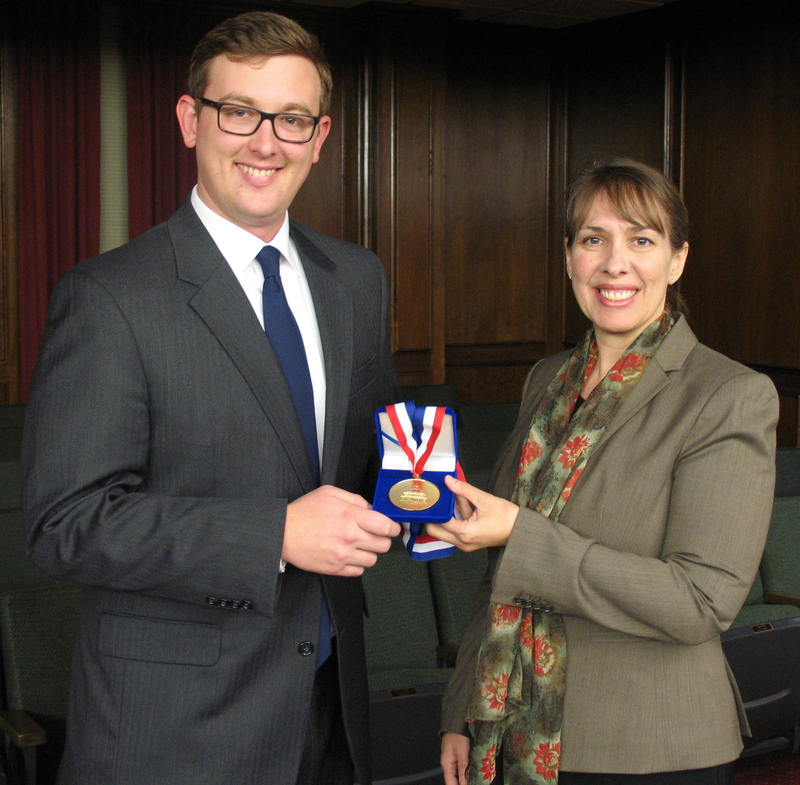 The Medal of Excellence program was developed by Christopher F. Graham of the New York law firm of Thatcher Proffitt & Wood and inaugurated by ABI in 1997. Each participating school selects the graduating student with the highest grade in a bankruptcy course or other indicia of bankruptcy scholarship. As a political science student at Washburn, and having grown up in Windom, Kansas, he was familiar with Washburn Law’s reputation as excellent school for preparing students for law careers. This knowledge, persuaded him to choose Washburn Law. Wiard’s bankruptcy experience has extended beyond the classroom. Prior to law school, he worked for debtor attorney Harry Boul, in Columbia, Mo. During his second year at Washburn Law, Wiard wrote a student loan discharge column for the Washburn Law Journal. He has also worked for the Kansas Department of Labor and is currently clerking for Kansas Court of Appeals Judge David E. Bruns, ’84. In the future, Wiard sees himself in private practice or clerking to employ his love for research and writing.